GoFit! 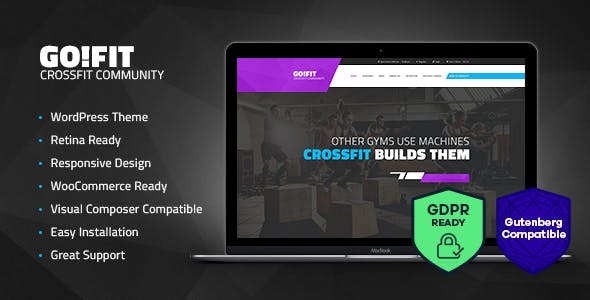 – amazing modernGym WordPress Theme. It is created for fitness Industry. The Theme is perfectly suitable for sport club, crossfit gym, fitness center, personal trainer, workout, bodybuilding events, health center and other sport and health related business.